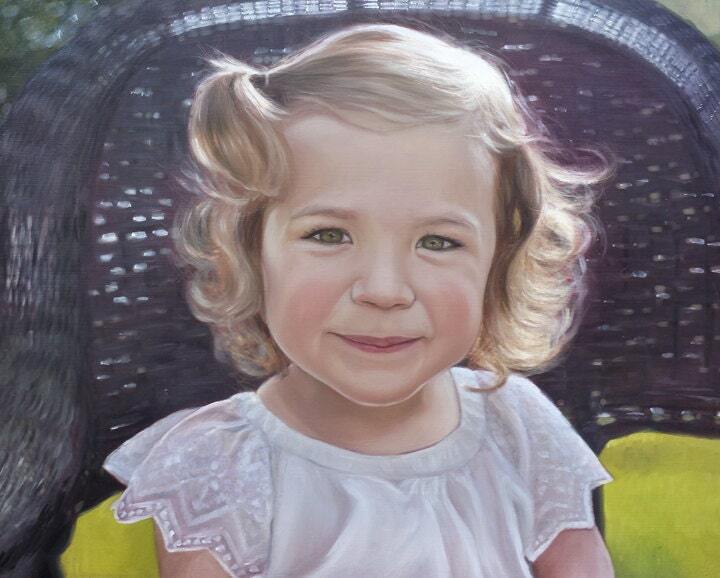 Missy's Portraits specializes in painting portraits of babies, children, families, pets and houses. Capture your most special moments by turning them into stunning hand painted oil portraits. Send me as many photos as you like and I will work with you on which ones will highlight my strengths as an artist, and which will work best for what you want. So here is how the portrait ordering process works! 3. Choose the item in my shop that defines the size you would like and place your order, or I can send you a customized Etsy listing. 4. I will contact you when I begin work on your portrait! 5. Once your portrait is finished I will send you a photo of your portrait for your approval (changes can be made). 6. Your work of art gets shipped to your home!